Lee is a retired partner at Sullivan. He was in the Investment Management Group in our Boston office and practiced general corporate and securities law. He served as managing partner of the firm from 1996 to 2002. 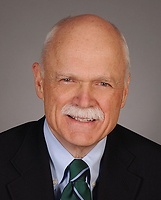 With over 45 years of experience in the investment company and investment management areas, Lee organized and advised open and closed end funds, represented independent trustees in the discharge of their fiduciary duties and counseled investment advisors as to ongoing SEC compliance and contractual arrangements with private accounts.